New Tooling 03-2019 available now!! The new Tooling #03-2019 is now available Online! 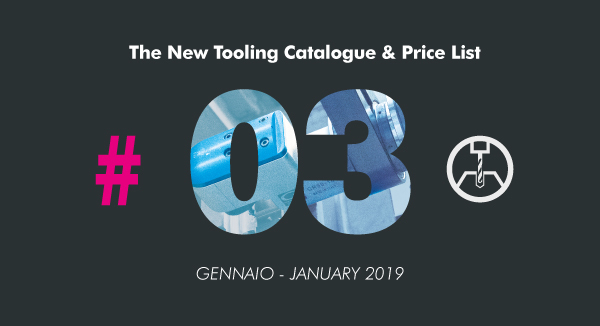 The new Tooling 03-2019 is now available on our website. You can download all chapters pdf files both in catalogue or pricelist version. Soon will be also available the printed copies. Discover many special news about our new Angle heads & Driven and Static Toolholders!!! In order to satisfy all our costumers’ requests, also the most demanding ones, we have further increased our Classic Angle Heads range from 63 to 141 models, always mantaining the highest precision and compactness! A lot of news on the driven tools chapter, a lot of models have been added, new types with same rotation of the machine spindle, hob carriers and C.ISO26623 exits on request. One important news is the new driven tools line for TSUGAMI’s lathes. Also the Static Toolholders chapter introduce a lot of new models, especially the 2 new BMT and TSUGAMI lathes’s range.